"This is my lower-calorie alternative to the chain mochas." Pour milk into a large microwave-safe container; heat in microwave until warmed, 1 to 2 minutes. 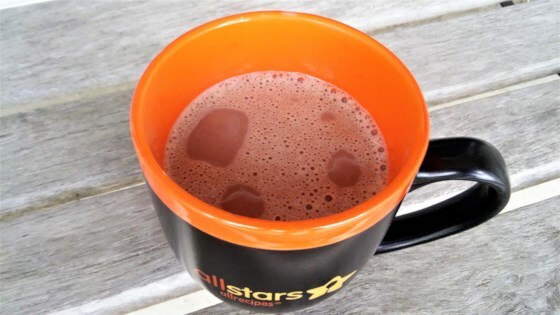 Stir sweetener and cocoa powder into the warmed milk to dissolve completely. Froth the milk according to your espresso machine's directions. Stir espresso into the frothed milk mixture. By using cocoa powder and Splenda®, I lower the sugar content without using the sugar alcohol you might find in a coffee shop. I actually prefer these mochas to those of the national chains. A nice mocha without the guilt. I made this on the stove instead of the microwave. Thank you aroverman for your recipe.